Now here's a great way to add an extra layer of adorable to a Yoshi Amiibo and better prepare for the cutest Yoshi game ever. 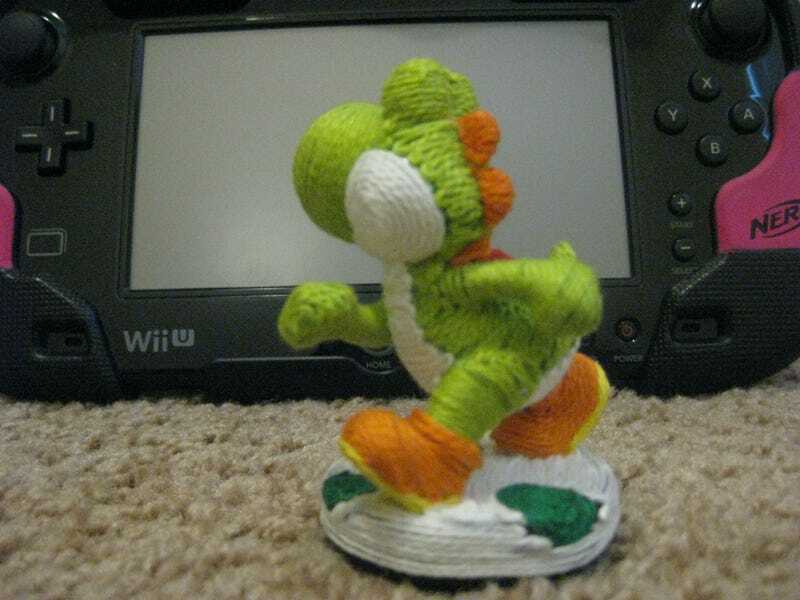 Reddit's NLightedNd1 made this custom "Yarn Yoshi" figure with some impressive crochet work. I have no idea why Nintendo hasn't made one of its own already. Other body-shots below. The eyes look a little too creepy for my taste. But that doesn't have to be a bad thing! Yoshi is a dinosaur, after all. Or a lizard? I don't even know anymore.